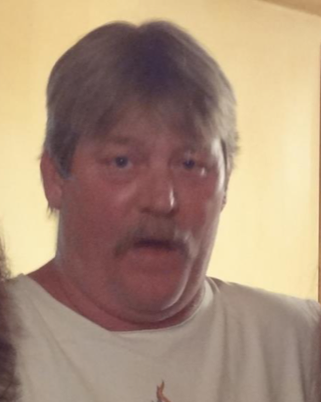 Marvin Karl Barney, 55, of Franklin Furnace, Ohio, passed away Jan. 13, 2019 in Crystal Care Center in Franklin Furnace, Ohio. He was born in Portsmouth, Ohio, July 4, 1963, a son of the late Thurman Barney and Dorothy Potter Barney. Preceded in death by one brother, Kevin Barney. Surviving are two daughters, Kassie (Alex) Martinez of Tiffin, Ohio, Katrina Barney of New Washington, Ohio, two brothers, Kurt (Pamela) Barney and Keith (Kay) Barney both of Yadkinville, North Carolina, one sister, Karen Newsome of Louisa, KY and five grandchildren. Funeral services will be held at 1 p.m. Wednesday, Jan. 16, 2019 at the Roberson Funeral Home in South Shore, Kentucky with Rev. Kenny Potter, officiating. Burial will follow in MT. Olive Cemetery, South Shore, Kentucky. Friends may call at the funeral home from 11 a.m. until the service hour at 1 p.m.